ClickUp isn't just for large teams! Whether you're a freelancer or just want to meet personal goals, there are plenty of tools within the platform to boost your project management routine. Notepad: This feature makes it easy to record even the simplest ideas and convert thoughts to tasks at a later time. When you're in meetings and need to take notes, simply pull out the notepad and jot them down. You can quickly come back and view or add to these anytime. Priorities: These provide a great way to classify your tasks by importance! Priorities will help you tremendously when looking through your task list and deciding where to begin your day. Task Tray: Control your tab fever while also planning out your workflow! Pick several tasks that you'd like to accomplish and simply minimize them. This way, you will be constantly reminded of what you need to get done during your workday! 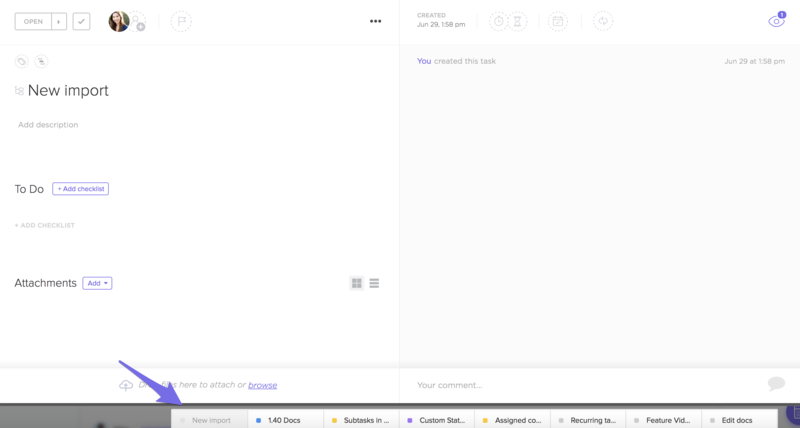 Custom Statuses: Create personalized workflows for all of your tasks in ClickUp. Check out this page for use case suggestions to help you get started! Checklists: It’s easy to get lost in a workflow when tasks require multiple steps for completion! Checklists give single users an easy way to organize business processes and simple to-do lists directly within tasks! You can also utilize these to hold yourself accountable. Simply check off each item to show completion and move on to the next! Once you've made a checklist you like, create a template with it for later use. Need more tips on getting started with ClickUp as a solo user? Check out this post!